OVER 1600 SQ.FT. OF FINISHED LIVING SPACE. Must see this beautiful renovated and rehabbed Lake home in Beautiful Lake St. Clair. Features 3 bedrooms and 2 full baths. !000 BTU Electric fireplace in the spacious living room area. 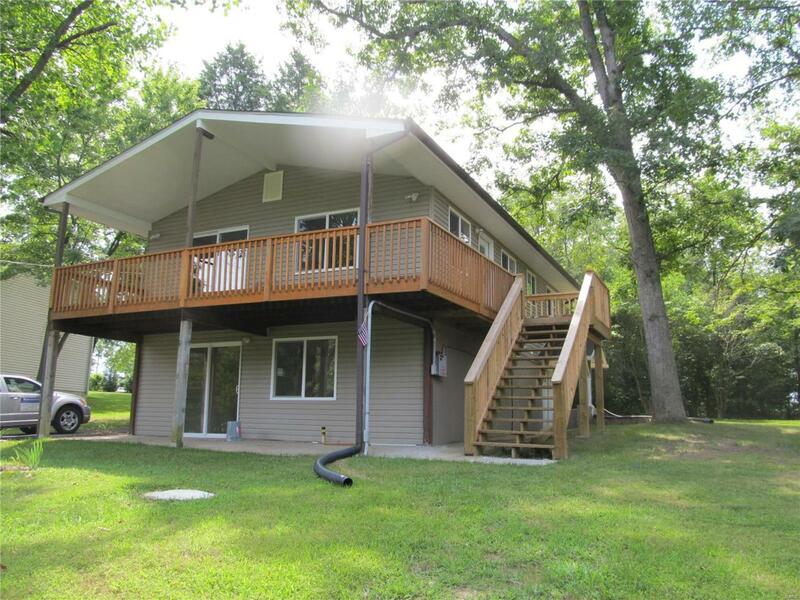 Awesome wrap around deck on the upper level that has a great view of the Lake.This home is immaculate and move in ready. This amazing home has a unique stairway that lights up as soon as you start up or down the steps. New asphalt driveway. New windows and sliding doors. New HVAC, flooring, cabinets, can lighting, ceiling fans , and much, much more amenities too numerous to mention. Make your appointment soon for a personal tour. Listing provided courtesy of Ridgemoor Realty. Listing information © 2019 Mid America Regional Information Systems, Inc.